My Falcon bike restoration project has been on hold for a while. I was thinking of repairing the saddle - replacing the foam and getting new covers but in the end I decided to get a new one. 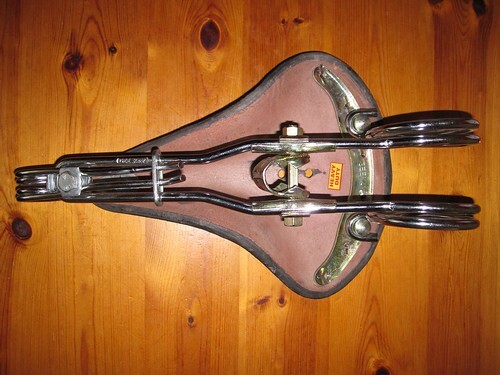 I have always wanted a Brooks saddle and I have had my eyes on the B17 Special for a while. 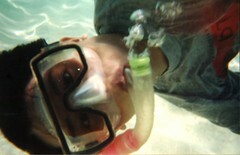 However, £113 for a brand new one was a bit too much and I went onto eBay to find a deal. 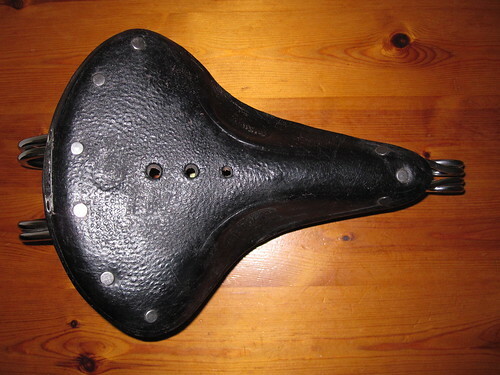 The appeal of Brooks saddles is amazing - even ancient tattered ones are going for as high as £40. Some actually cost as much as a new bike. I bid on a few saddles and I set a limit of £25 and not surprisingly I lost every bid. One day I came across a buyer who was selling Brooks saddles which had been made in India. 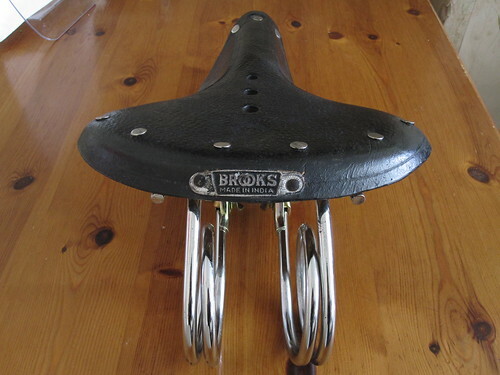 I was a bit sceptical at first but after doing a bit of research found out that indeed some companies in India used to make Brooks saddles. So I made an offer of £10 which the seller promptly rejected. No harm in pushing your luck. So I pumped up the offer to £15 and I was delighted when the seller agreed. A couple of days later I received the saddles nicely packed and was really surprised when I realised that they were in mint condition. The quality is really good with thick leather and good quality steel. I can't find a similar saddle in Brooks current catalogue (on their website). Really happy that I am the proud owner of a Brooks saddles (even though they were made in India). It will be going on my Falcon bike. Thanks for the info . Do you know where I can buy these in the uk ?